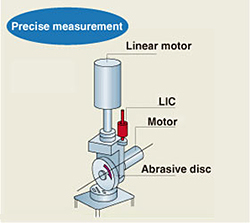 APPLICATIONS｜CONTROL & SENSING | MURATEC,MURATA MACHINERY, LTD. 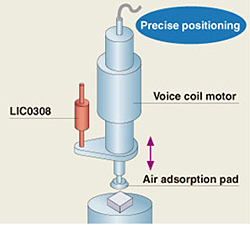 Magnetic Induction Sensors can be applied from a machine tool, engineering works construction machinery, an industrial machine such as various robots, and the positioning control in plant facilities to the controls such as in-vehicle goods, the disaster prevention equipment, and the medical equipment amusement equipment such as passenger cars to various usages. 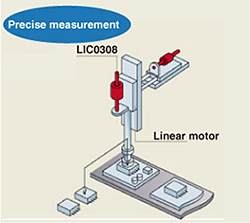 The size measurement function is added to the handling machine. 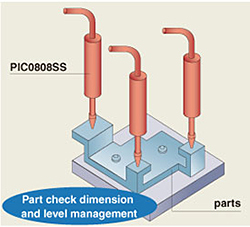 Sizes of parts with the highly accurate pencil type sensor are measured. 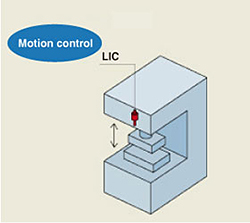 The footprint downsizing and making to high resolution are achieved with a small, built-in, linear sensor. 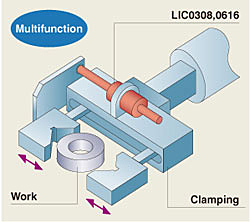 The amount of grinding and the amount of various materials of the grinding disk wear-out are precisely measured. 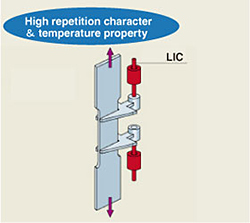 An excellent testing set in the temperature property and the repetition character is achieved. 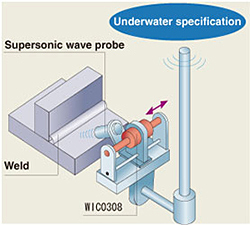 The positioning work and the position tracking under the surface of the water are achieved with the sensor of the waterproof type. 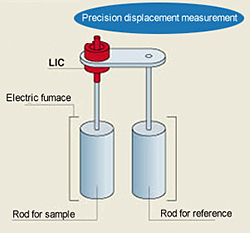 The footprint downsizing and high resolution are achieved with a small, built-in sensor. 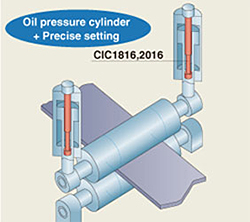 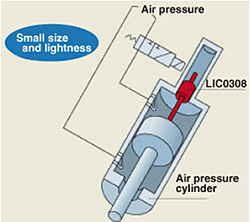 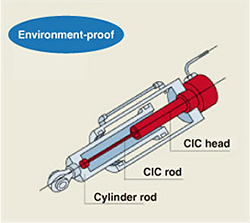 It is a linear sensor of the environment-proof of type structure protected with the air cylinder.